This project involved The Billington Partnership working alongside one of the UK’s leading and innovative interior design companies, Hillhouse Interiors. 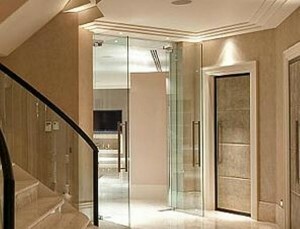 Hillhouse Interiors knew exactly what they wanted to enhance a most magnificent property being constructed in St Georges Hill. Using two of our best craftsmen, we were able to create the precise look they had in mind. 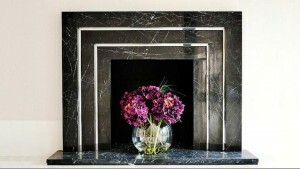 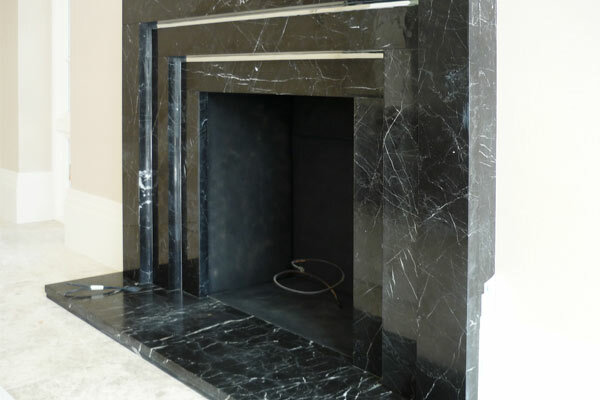 For the first fireplace, we installed a striking black with white veined Nero Marquina marble fireplace. 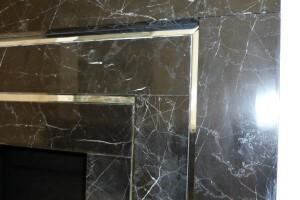 It resembled an innovative art deco design. 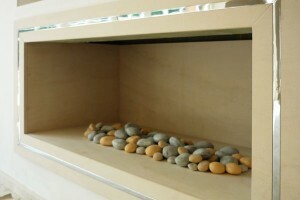 The brief also included fitting ‘up lights’ in the hearth to enhance the fireplace. 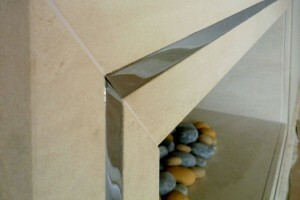 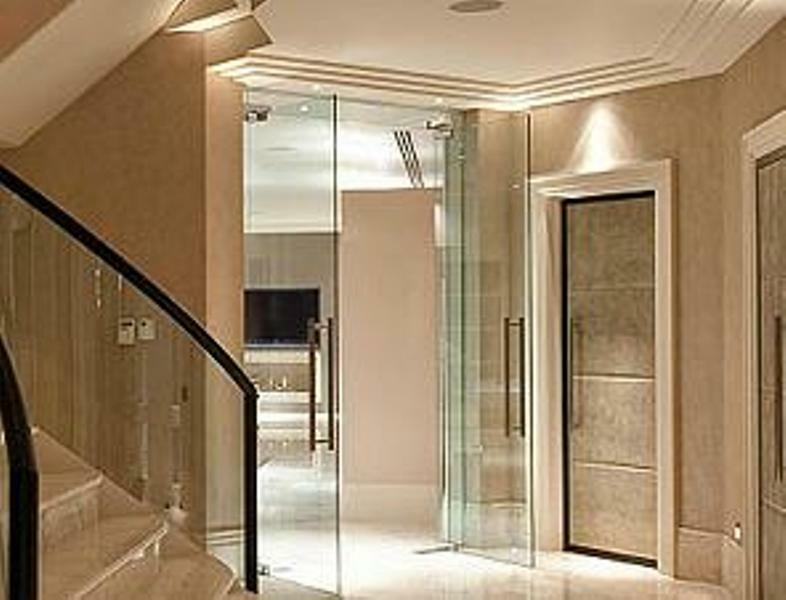 Furthermore, we inserted a double chrome strip on the inside of the mantel which created a visually stunning effect. Finally, we fitted a gas basket at a later date. 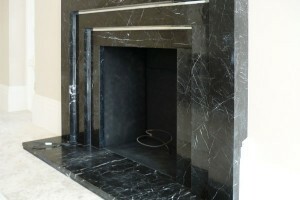 At the other end of the house, in an enormous kitchen we installed a second fireplace. 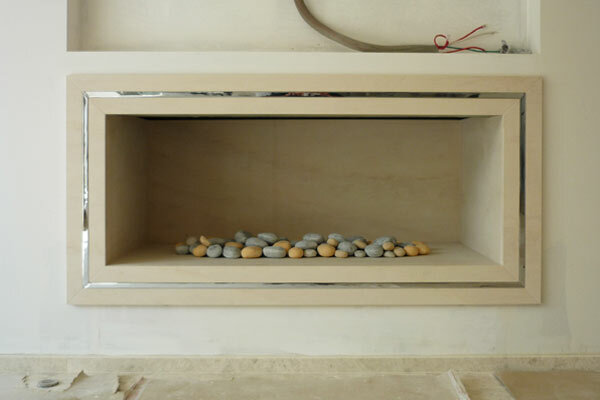 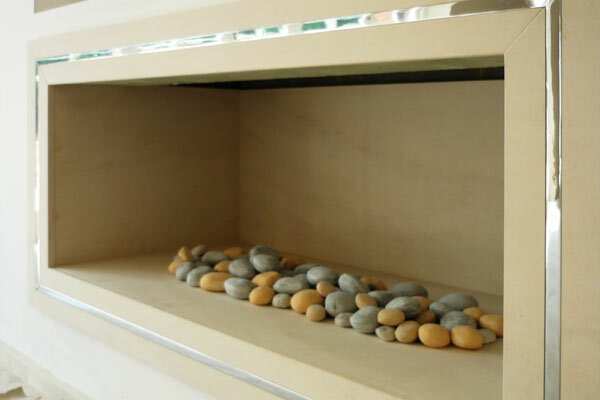 A large, hole in the wall fireplace made of limestone. 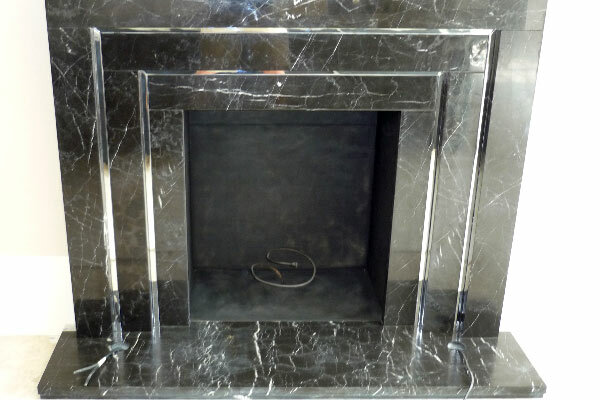 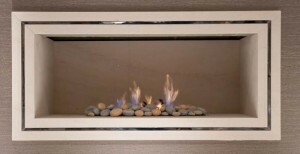 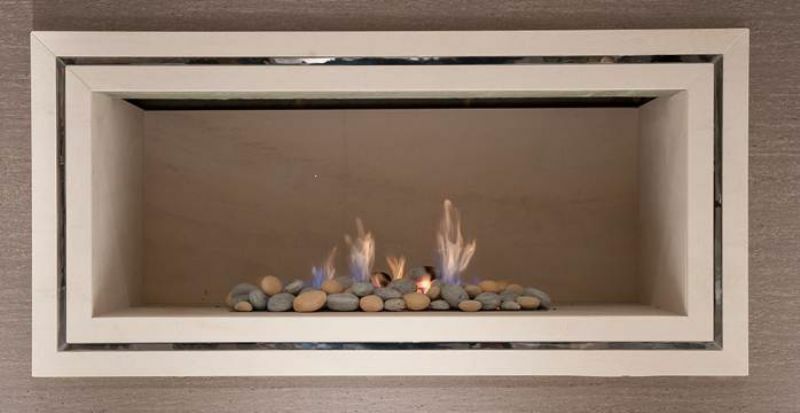 Again, we fitted a chrome strip into the frame of the fireplace which created a beautiful addition to the design.